My two-year of formal shakuhachi study was last month. I have yet to make my annual anniversary pilgrimage. It is coming though. I did have a small one of sorts. Rather unplanned. I finished learning my second traditional Shakuhachi song this week. Golden week here in Japan. It was a struggle for me. The first two days I spent in pain and a numb mouth from dental work. Which was just hours before my scheduled Skype Lesson. I believe I already said this on my last post. So I will not again, if not, just imagine, numb mouth shakuhachi class. Next two-day a cold! Anyway, I persevered. My fellow Zen path follower was kind enough to teach me the song I needed to do a day with a Komuso upcoming later this month. I am grateful for the help to make the trip possible. Now I need practice! So any-who, I decided on Friday the weather was great, I was feeling almost 100% normal…for me. I make the choice to go out, get some practice in, some fresh air, some exercise. One of the things, that stuck me holding the shakuhachi was its feel as a weapon, having a martial art background. I read that some of the old Komuso, being former samurai also felt the connection with the shakuhachi as a weapon and they at time used it as such. With that in mind I had been thinking about training with it with a different mind-set. In my shaolin studies, we have a short staff “form” or kata as it is called in Japanese. This lends itself well to use of the shakuhachi as a a short staff. However, i was thinking more in terms of sword. I have a Tai Chi sword form I am re-learning, this I felt would be perfect for use with a shakuhachi instead of blade. 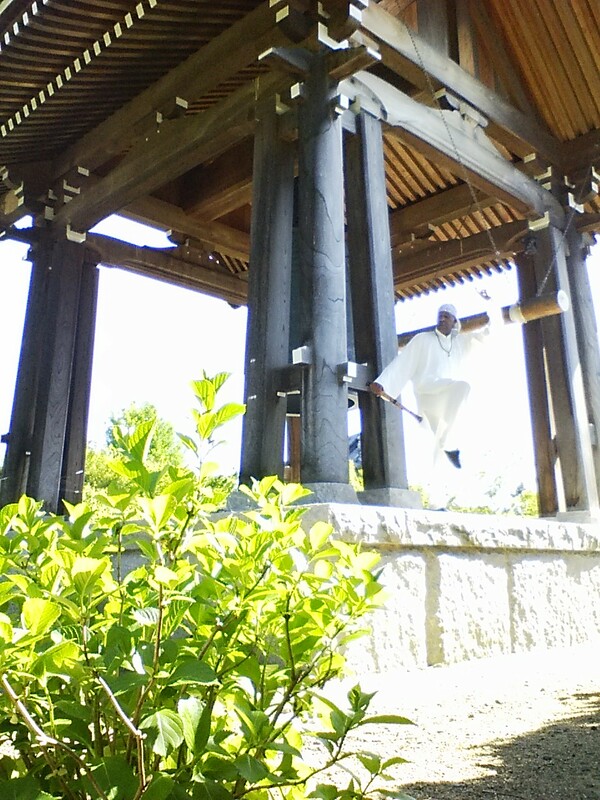 In Japan I can not freely go out and practice with my swords as in the states. So I use a cane, or a collapsible sword or cheap meal. Both work , but lack a feel, which I am sure is a mental thing. I decided, practicing with a shakuhachi would give the practice a different feel, something unique. A different feeling than with a sword, but also different from a fake sword. That would be part of my practice for today. Physical, mental, spiritual, audio. Formless and form. I could also Practice Kali with the shakuhachi. But really unnecessary due to the nature of Kali. Also the limits of a two-part Shakuhachi. None of the training is really suitable for a two piece shakuhachi, however the Tai Chi jhian form is the least of being chanced harmful to the shakuhachi. So I have my plan. 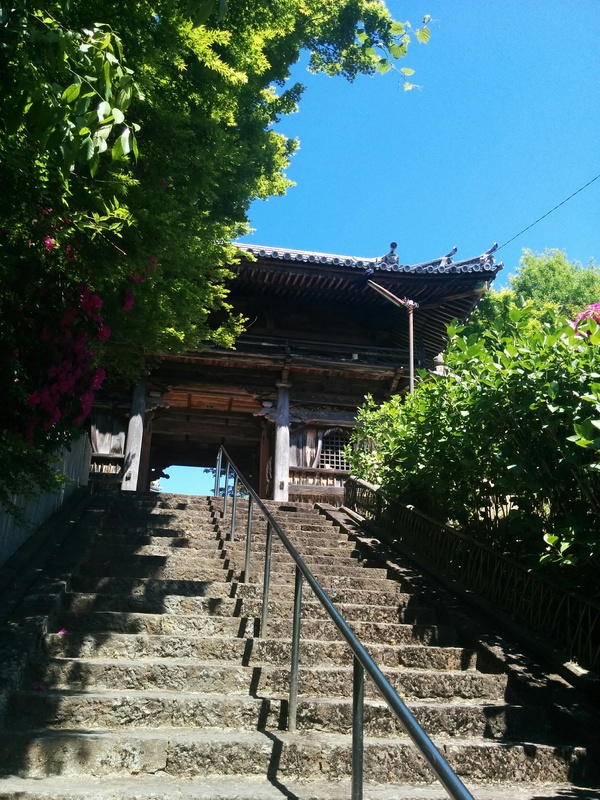 Go to the temple grounds near our home. 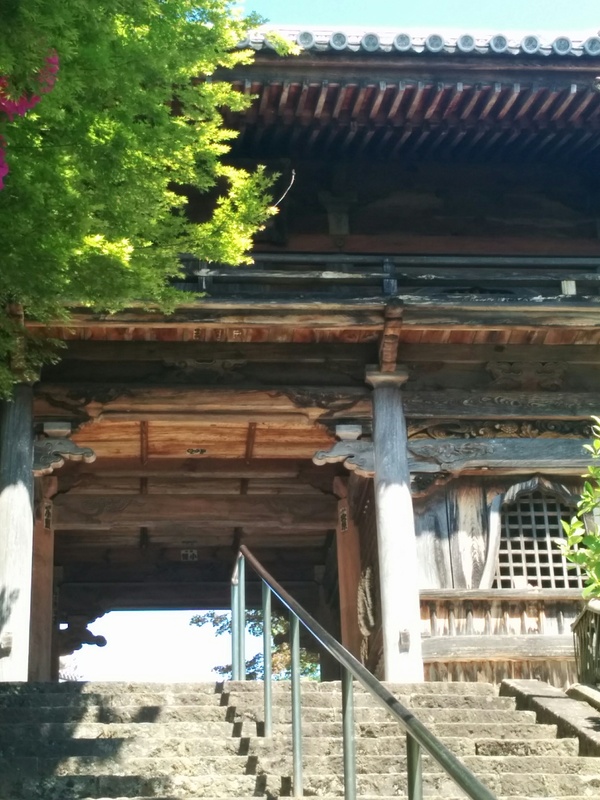 This is my favorite temple in the area, Chokei-ji. The grounds over look the area . I can see to the Osaka Bay from over by the large Bell, which is next to the grave yard. The place is usually quiet. I can practice some of the faces of Chan, in peace. Movement, stillness, sound, as well as take a few photos. Practice my photographic art. I wonder sometime from something LZ said if people think I like posting pictures of myself on FB. Really I have started being able to separate myself as the model and as me. The model is just there, because I need a subject or as part of the subject really more a prop. My photos are more about the shot than about me, or a graphic to support the story. Off I set on the bike heading for the temple grounds. It is about a 10-15 min bike ride to the grounds. Then there is a climb of 100 steps to reach the main ground. It is said that a wish is granted after climbing the 100 steps at the main entrance. I also feel a charge going up the steps , then passing through the entrance gate with the two spirit guards on the sides. I am guessing the entrance is very very old from the looks of it. I make the upward passage to the entrance, I bow and enter. Today I am being extra respectful as I have a motive from coming. I go to the main temple and to the incense burner and forever candle. I light a stick of incense I brought with me. 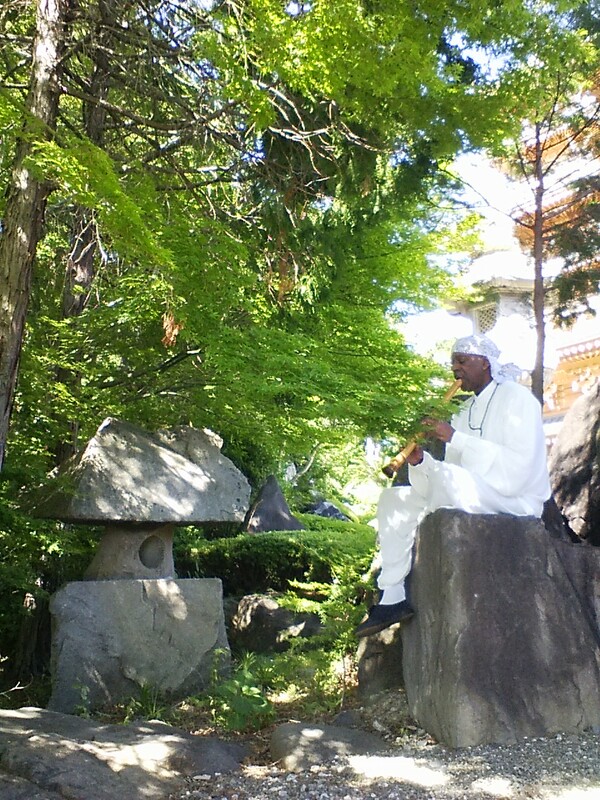 I pass my Shakuhachi through the smoke of the incense after a small thanks of gratitude for the use of the grounds. Next to the altar and bell. I made an offering , bowed, small prayer. Now I felt I could do my practice, after giving respect to the spirits. 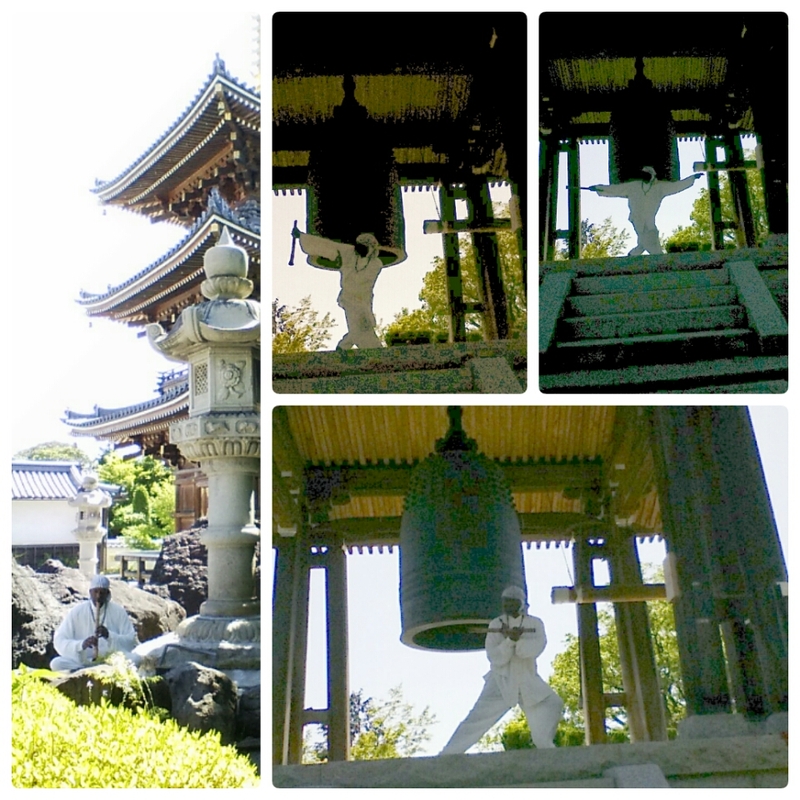 I went over to the large bell and changed my clothes. 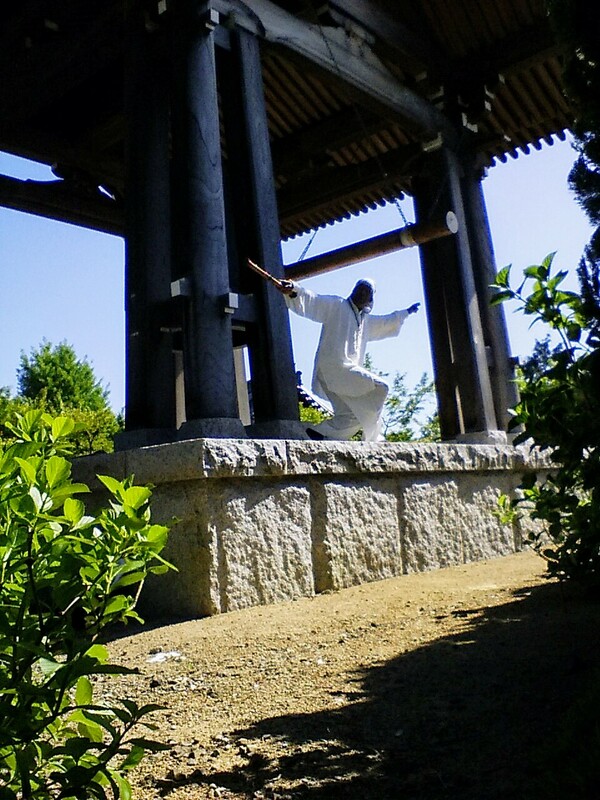 There I took few shoots, and practiced Tai Chi, hand and sword sets. Then I walked around a bit and took some more shots I thought would be interesting and fun. There were some that thought would be great, but I did not want to walk on certain parts of a pagoda, it did not seem proper. I was made more aware of that when I visited the Kyudojo in Kamakura and I was stopped from walking on an area near a prayer spot. This was also in my mind from watching the visitors there today. 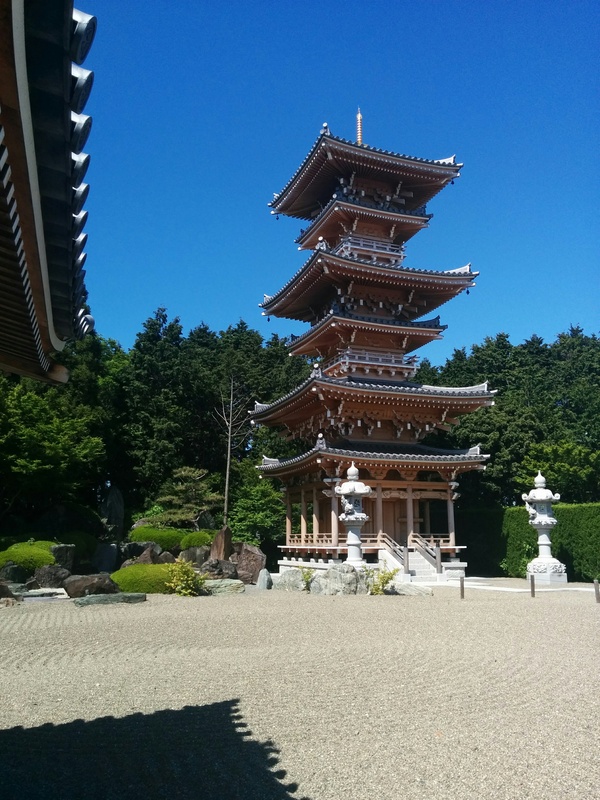 The pagodas had some meaning as they prayed at them. So I figured the best way is to avoid possible lost of face. I grabbed a few shots from here and there , changing my on some planned shots. I picked a spot overlooking the main grounds and had lunch among the rocks. I was not sure if I should be eating there so I kept a low profile. Afterwards, I played the Shakuhachi songs I felt fit the place. One was the new song I am learning. 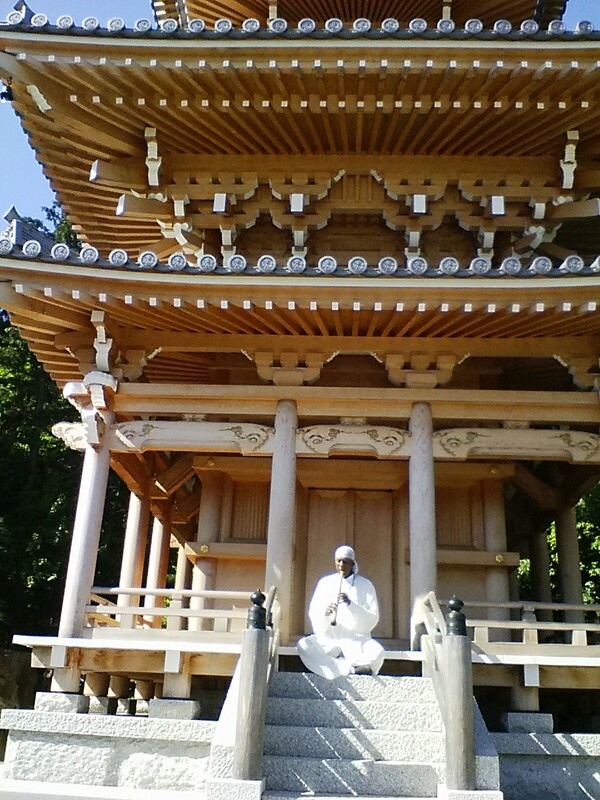 My Sensei said when I go to visit temples, the amount that I have learned is proper and enough to pay as a “gift”, offering. I also played the new song I was just taught. I did not play long but what I felt was enough. Then just sat for a bit before making ready to go home. This day was the first I had ever seen any of the temple staff. A couple were out doing gardening, another couple went in and out of the housing area. I watched them closely to see if I was doing something wrong. I was pretty much ignored the whole time. After I had finished my audio shakuhachi practice and was packing my stuff. I did not think I was playing that loud, or noticeably. I thought I was pretty on the “under”. Someone came out of the housing area, a woman, on her way to someplace else. She looked over at me directly and did a small bow. I did not notice at first, she did it again, I returned the bow, she left. four years coming in July! Just getting my feet wet !